Cinders is a proof-of-concept short for a British pantomime version of Cinderella, but set in a real land, rather than on stage. 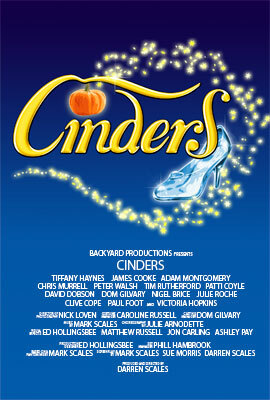 Cinders has all the razzmatazz of the theatre; blending real-life locations with theatrical scenery, dames, heroes and villains, to produce this unique presentation of a classic story. The Cinders concept is now well placed for further development, with real potential for commercial realisation. After concentrating on putting Doom Raiders together for general release, and after Darren Scales had completed an MA in Media Production, Backyard Productions were looking for a new project to work on. They considered a number of ideas before deciding to make a film of Cinderella based on the British panto version Mark Scales was already writing. They were to take not only the story, but Ed Hollingsbee worked tirelessly on designing sets and set dressings that would bring the theatrical look of a panto to the screen as well. The aim was not to make everything look realistic, but to use exaggerated perspective and white outlining to give sets and locations a fantastical feel. They did not have to go far to find an ideal location: Sundown Adventureland, Retford, Nottinghamshire, could be filmed with only minor set dressing. But in other locations, such as Ashby Hall, Lincolnshire and even Pinewood Studios, Buckinghamshire, they cleverly managed to incorporate theatre scenery among the real landscapes and undergrowth. It sounds crazy, but the footage shows how a well-placed painted-on piece of flat wood can actually add a great deal of depth and mood to a scene. Innovative as this is, it would be wrong to think that this was in any way the only ground-breaking aspect of the project, at least for Backyard Productions. For the first time, they filmed in 1080p HD, using professional equipment and professional television studios, with the kind permission of the University of Lincoln. Although not new to CGI, having gained experience for their previous three films, there were some new techniques they used live, such as filming from a raised platform and using a spotlight on location. All this added to the theatrical sense the film evoked. Never before had they held auditions or had quite so many extras. It was true that they had advertised for people to get involved in TENCLO, but this was nothing compared to the three sessions of auditions, both locally and in London, as well as a casting session weekend. They also enlisted the help of a local theatre school and choreographer to work out routines for the main dance number. That way, amateurs and aspiring young stars rubbed shoulders with semi-professional and professional performers, all enthusiastically working together on this production. Set several years after The Empire Strikes Backyard, the Jedi learn of the Emperor’s plan to release his new Clone Army on an unsuspecting Republic, and set out to stop him – as well as rescue an old friend along the way. Back on Naboo, we follow Luke Skywalker’s progress as he trains to be a Jedi, and witness Anakin as he is tempted by the Dark Side of the Force. As the fate of the galaxy lies in the hands of the guardians of peace, can good ultimately triumph over evil? The Emperor’s New Clones was made in 2005 & cost £3500 to make. It is our parody of Episode III. No money was made from its production. 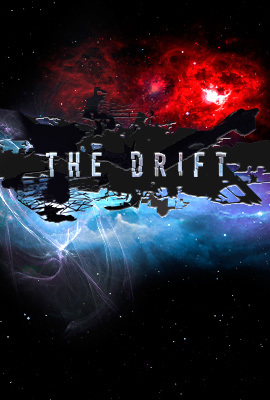 The crew comprised of family and friends and was produced purely out of love of the Star Wars Universe. The Emperor’s New Clones (TENCLO) was discussed as a project way back in 2002 after the Premiere of Doom Raiders. There were many reasons for making a sequel to The Empire Strikes Backyard (TESBY). After watching the Luke Skywalker versus Darth Vader duel in Return of the Jedi for the hundredth time, one of the things that Darren really wanted to have in TENCLO was a lightsaber duel on different platforms. Mark and Ed were keen to produce better visual effects than those seen in TESBY. Another option was to re-edit TESBY into a special edition incorporating better visual effects and slicker editing. Whilst Darren, Mark and Ed conducted an extensive review (and even got Air Vice-Marshal Rimmer to film another introduction) TESBY Special Edition was abandoned. As publicity regarding the release of Episode III grew combined with their recent 5-minutes of fame, BYP could see that The Dragon’s Curse was losing momentum compared with the growing enthusiasm of resurrecting TENCLO. Darren spoke at length with Mark to discuss how realistic it would be to produce a second Star Wars Fanfilm. After going through all the old notes made back in 2002, Darren finally made the formal proposal to produce TENCLO on 25 February 2005. The plot was to be more substantial than TESBY (where the premise was that Obi-Wan senses a disturbance in the Force and he and Anakin go to find out what it is) where this time Obi Wan is captured by the Emperor and used as bait to lure Anakin to the Dark side, while at the same time, he releases his new Clone Army to take over the Galaxy. There was much discussion regarding the tone of the film and how Anakin would turn to the Dark side of the Force. Darren was very clear that the emphasis should not be Anakin turning to the Dark side, but instead how and why he puts on the Darth Vader costume. The team agreed that to deal with the issue of turning to the Dark Side would not suit a light-hearted parody. The only issue was then to determine exactly how Anakin’s transformation was going to occur. 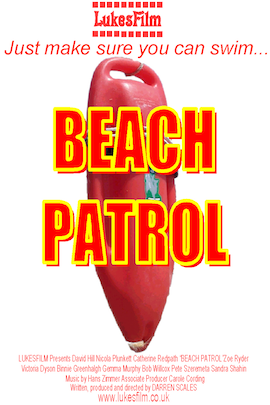 BYP’s funds were plentiful and a budget of £2500 was agreed. In March 2005, Darren and Mark were invited to appear on Channel 4’s Richard and Judy daytime TV show. Initially due to appear for a 5 minute feature, Darren and Mark managed to drag it out to over 8 minutes with Richard and Judy laughing all the way though (with them or at them? It was not quite clear!). Darren was then deployed to the US in support of a Royal Air Force air defence exercise in Alamogordo in the USA. During any time off he had, Darren began writing the TENCLO script. Thanks to the internet (and the plush hotel he was staying in!) Darren emailed draft scenes back to the BYP members ready for consultation upon his return. After a gruelling 3 weeks in Darren’s converted garage with a team of 9, TENCLO was finally ready for premiere on 9 September 2006. 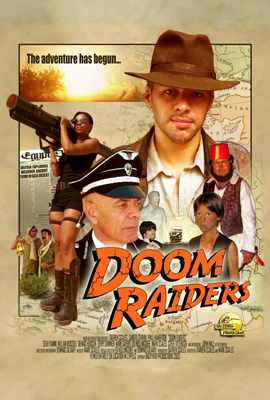 Filmed in 2001 and released in 2002, Doom Raiders is a parody based on all those classic action adventure films like The Mummy, The Jewel in the Nile and of course, the Indiana Jones Trilogy! 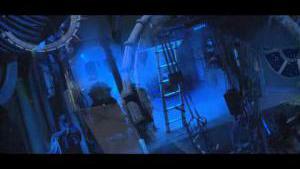 Doom Raiders was bigger and better than any of our previous film projects. It included both custom sets and extensive location filming across the East Mediterranean island of Cyprus. Whilst a parody, Doom Raiders was the first BYP production to use complete original music, story and characters. Doom Raiders featured over 100 extras, 3 trucks, 4 horses, 1.5Kg of C4 explosives and 2 helicopters. 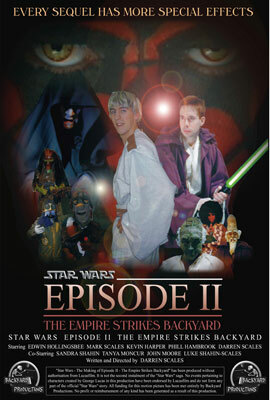 Made in 1999 and released in 2000, The Empire Strikes Backyard is a spoof story based upon George Lucas’s phenomenally successful Star Wars. 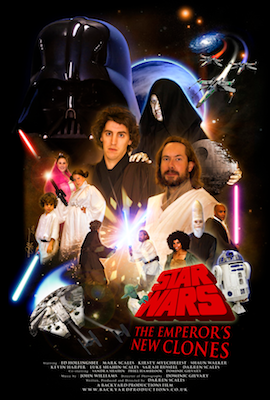 It is preceded by a short “mockumentary” giving a comical insight into how Episode II might have been made. Filmed at RAF Innsworth, Gloucester, UK, BYP utilised the help of local volunteers as well as a small prosthetics company called Behind the Mask whose biggest contribution was the Darth Maul make up and horns. The story is cliché but the special effects were impressive at the time of making – especially since the film cost less than £1000 to make. The gags should appeal to both Star Wars fans and those who are not fortunate enough to have experienced these marvellous films. Batman is mysteriously killed from a blow to the face with a spade. 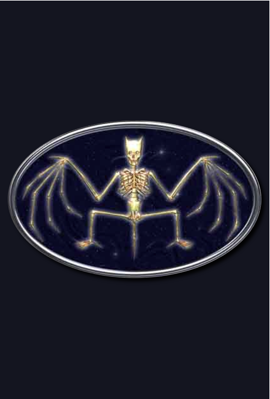 Now, in a secret Government laboratory the race is on to resurrect Batman using a special technique instigating a new DNA strand chain which will misalign the cross conference over the singulation strand. However, only one crazed scientist knows how to perform this very delicate operation. With Batman’s killer still on the loose and hidden a agenda in every corner, it is going to be a long time before this mess is cleared up! 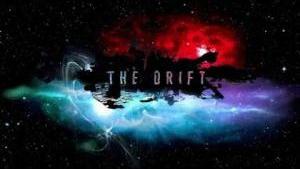 Our second full length feature film. 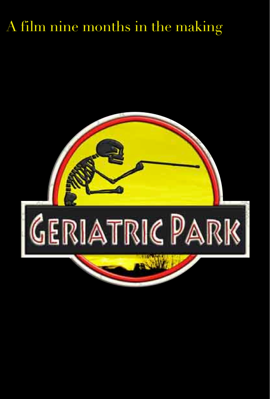 A sequel to Geriatric Park, spoofing many other films, not least the Batman series. We are in the process of producing special editions of Geriatric Park and Batman Returns Forever, and this is one film that will need some trimming – the original cut was nearly two-and-a-half hours long! There has often been talk of creating a new “Director’s Mum’s Cut’ of this film that would be much shorter. However, the original tapes have long been lost (thanks Mark! :p), so a new version is unlikely. Unless, Darren can find the completed master tape used to make all the copies…. Welcome to Backyard Productions UK, Britain's leading independent film making company. 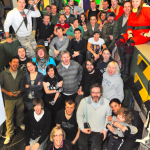 Our unique way of making zero-budget movies brings together novices, enthusiasts and media professionals filming everywhere from Lincoln to London, Tunisia to Pinewood Studios; all in the name of FUN! Sit back, play the showreel, and browse our movies.